Saving the world one diaper at a time! Cloth diaper your newborn with zero hassle and zero waste. The sustainable, eco-friendly, completely healthy nappy solution – for the same price as disposables*. Collection/drop off Mondays and Thursdays. 1. Full Newborn Diaper Solution: twice weekly delivery of 50 clean nappies together with cloth wipes, stay-dry liners, wetbag, nappy bucket and three high quality waterproof covers. Zero additional nappy-related spend required. R400/week. 3. We wash your own personal nappies twice weekly: R200/week. Buckets are available for a refundable deposit of R50. * calculated for the newborn phase, 12 disposables a day at R3 a nappy = R252 a week, excluding travel to purchase them. Newborn diaper service is R280. Savings multiply quickly on our full diaper solution plan once wipes, liners and covers are factored in. Sign up via whatsapp to 072 200 6369, email info@bumstheword.co.za or use our Contact form. We collect your nappy bin every Monday and Thursday in a pre-arranged time slot, returning your clean nappies next collection day. Weekly subscription: cash, EFT or snapscan. Press pause at any time. Please enquire about ad hoc arrangements – R120 each (collect, wash, return). Beautiful clean borehole water ensures you can continue to cloth diaper and save the world without fear of straining our municipal resources. Wash routine: pre-rinse, followed by washing on a long, lukewarm cycle with biodegradable washing powder, and a double rinse as required. 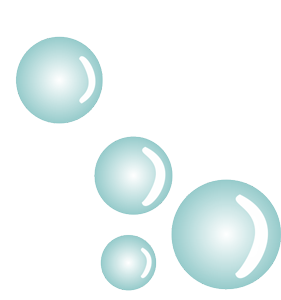 Stains are treated with green sunlight bar soap or boerseep. Nappies are hung correctly so as not to stretch elastics, and dried in direct (whites) or indirect sunlight (colours, PUL). Your precious nappies are NEVER washed with anyone else’s. You may fill up your bucket with towels, baby clothes, bibs, receiving blankets etc. (up to 5kg). Our rental service flats and fitteds are sterilised using G-cide, a proudly South African biodegradeable hospital-grade sterilising solution.